Situated along the River Thames, Richmond's charming west London setting offers buyers and renters close proximity to Richmond Park, a range of up-market shops and restaurants and riverside pubs. You'll find luxury riverside homes, cottages and period properties for sale and to rent in Richmond. 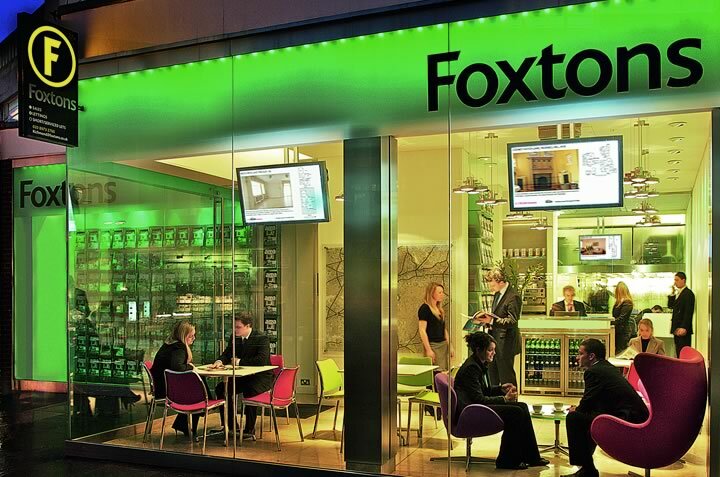 At Foxtons Richmond our expert sales and lettings teams are dedicated to helping you buy, sell, rent and let your property in Richmond and the surrounding areas, including Brentford, Ham, Kew and North Sheen. Foxtons are proud to be one of the leading estate agents in Richmond offering properties for sale and to rent in Richmond. We purchased a property and Mattia was the Foxtons rep for the purchase. He is professional and very efficient in completing the exchange! Really a great asset to Foxtons office in RICHMOND. Highly recommend him and his service in sales. Ivanka has been marketing my flat in Richmond for a number of years. We have established a trust-based relationship. But trust comes as the by product of Ivanka's competence, work rate, clarity and treating the tenant and landlord fairly. Foxtons' online site for managing the property (I have a few) is also the best in class. I would like to give massive thank you to Alice, Anya, Jenna & Lisa. As a newbie to West London, they went all out to expose me to multiple neighbourhoods and a huge amount of properties, so I could make a good choice for our new family home. Picking me up to take me to the various properties made my life very easy and was a real point of difference with other agencies. This was a perfect example of customer service. Thanks a stack everyone. Your service has been stellar! Ivanka, you are invaluable to Foxtons and I cannot begin to thank you enough for all the help that you have extended to me with my tenancy. Reliable, courteous, sensitive and highly professional are words that I would use to describe you and I would not hesitate to recommend you and Foxtons to others. I have been with Foxtons for many years now but I can without a doubt say that the way you have managed my property has been highly efficient and professional. For an overseas landlord, this means much peace of mind. We were a little reluctant to sell with Foxtons as other estate agents offered lower rates, but after trying a few other agents first we wish we’d chosen to sell with them from the start. The service was a different level with Foxtons - their sales team were engaged, friendly, helpful and always available. Chris Howard provided an excellent service, paying attention to detail and always keeping us updated with any progress made. Joanna and Chan were also superb. We had tons of viewings in a difficult sales climate, they negotiated a fair offer and managed the process through to exchange of contracts with total professionalism. Top quality service and definitely worth the slightly higher fees. Simon helped, my partner and I, in our search to find a place for us. He was extremely friendly, professional, thorough and very knowledgeable really the best estate agent I've had and I have met quite a few!!! I have left the Richmond Foxtons office with the best of impressions. I will always consider Foxtons and I will recommend to friends. Brilliant. We were so impressed by their professionalism and efficiency but what we really valued most was their friendly and polite manner in dealing with everything. Their charming way of making one feel important and looked after made the whole process bearable despite the many setbacks we faced along the way. We were looked after by Simon at the Richmond office who worked really hard to get a flat for us and he ended up finding us a great one! He was friendly, helpful and we would definitely recommend him. I recently moved to London from Australia and needed to find a flat to rent. Having lived in the UK before I believed that the process of renting was difficult. Thankfully, Foxtons was recommended to me and once I decided upon Richmond I was fortunate to have Matt looking after my search. The entire process was excellent and Matt could not have been more helpful, from showing me properties that met my exact criteria, to communicating at each step, through to assisting me when I had questions following the signing of the contract. I would definitely recommend Foxtons at Richmond and will be using their office again should I be looking for a place to live in the future. We recently moved with Foxtons, Richmond and I would highly recommend. They were efficient and professional and were a pleasure to deal with. We can't fault the service my fiancé and I received from Foxtons, we were both amazed by the speed they were able to complete our move and keep our minds at ease. Matt was especially helpful in answering all the questions we had and doing a second viewing of the property we wanted. We would definitely recommend this office. Thank you for the excellent service received from Ell in Richmond Office, Lucy in Wimbledon Office and Luke in Putney Office. Elle was very helpful and knowledgeable about the Richmond area which helped me a lot given I do not know the area at all. She was extremely enthusiastic and genuinely wanted to find me something I would be happy with. Matt has been by far the best estate agent I've ever come across. He has a natural ability to listen to the tenant's needs and he will not present a property unless it lives up to the requirements you present him with. Matt was able to find us a home within two days and we are grateful to his honest and professional approach. Ask for Matt if you want to find your ideal flat without wasting any time on unnecessary viewings. We would like to take this opportunity and thank Matt for his help and excellent service. Very professional, polite and helpful. My partner and I enjoyed working with Matt – he was friendly and professional. I was keen to offer feedback from the service Matt has provided over the last few weeks. My partner and I decided to rent a new flat in Richmond, and were lucky enough to be introduced to Matt. Prior to speaking with Matt, we had met with and viewed properties through various estate agents in the local area. We were appalled at the service and were left feeling a little overwhelmed with the prospect of finding our new home without any guidance. Fortunately, Matt restored our confidence in estate agents and listened to our requirements. His style is exactly what we wanted to work with, genuine, honest and understanding. Other agents had been very forceful and salesy, showing us properties that were totally irrelevant to our brief. Matt showed us several properties all of which we liked. He consulted us on the local areas and how that would fit into our lifestyle (which he could do having taken the time to get to know us). In the end, we ended up going above our budget but didn’t feel at all pressured to do so. He worked hard to get us the best deal whilst representing the landlords needs too. Even though contracts etc have been signed and we are all ready to move in, Matt has kept in touch to see how we are getting on with our preparation to move house. I feel he has gone above and beyond what has been expected, and will highly recommend everyone to work with Matt in the future. I would hope that his efforts are recognised at Foxtons and he is rewarded accordingly. Thanks again Matt for everything, you have made the house move a stress-free process and we are very grateful. Leanna is a real pleasure to work with: a good communicator, efficient, personal and reliable. She makes letting out our studio flat in Richmond feel easy. Foxtons Richmond are a member of the key governing bodies, abiding by the strictest codes of practice. The Richmond property market is competitive. Foxtons can give you an advantage.